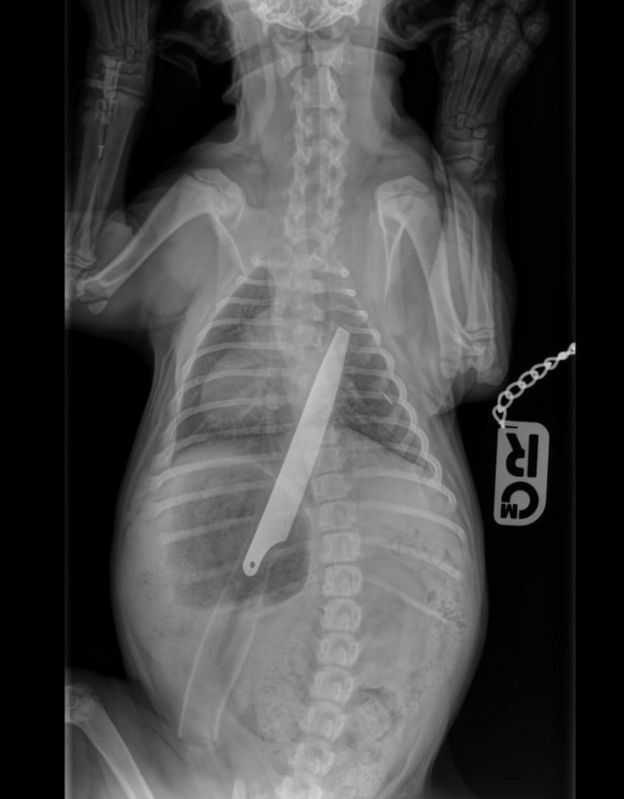 A puppy who swallowed an 8in (20cm) kitchen knife is recovering after undergoing life-saving surgery. The PSDA vet who has been caring for Macie since her operation said she was “extremely lucky to survive”. Owner Irene Paisley, 46, from Glasgow, had lost her previous Staffie to cancer just two months earlier and feared the worst for puppy Macie. She said: “Macie was making a squeaking sound – I thought she’d swallowed part of a toy. Then she was sick, but there was no sign of a toy, and she started choking. 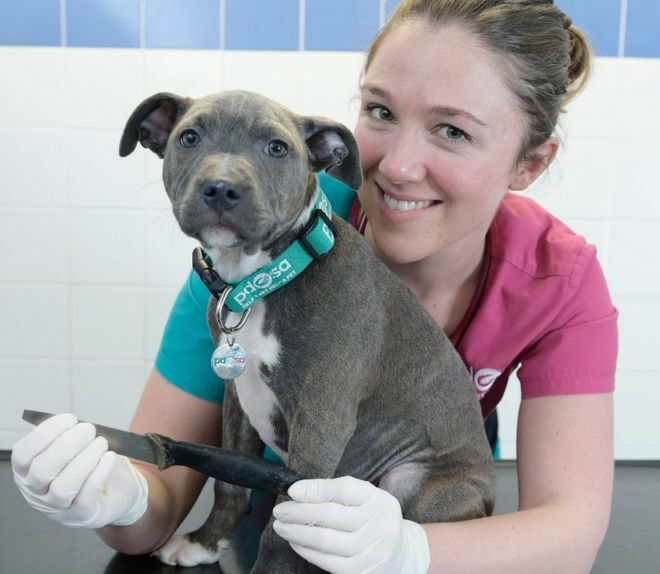 The puppy underwent immediate emergency surgery at an out-of-hours vet service in Glasgow to remove the knife while Ms Paisley, her partner and four children waited at home for news. PDSA provides free veterinary care to sick and injured pets of people in need and promotes responsible pet ownership. Over the years, the charity’s vets have removed items including tent pegs, golf balls, radio aerials and rubber ducks during surgery on pets.